Some crumbling brick walls, an old basement, bridge footings and a single house are all that is left of an old timber town that has been abandoned for over 70 years. What remains of Bordeaux, Washington can be found just a mile or so west of Mima Mounds along the banks of Mima Creek. Bordeaux was founded 110 years ago by the Bordeaux family’s Mumby Lumber & Shingle Company and the Mason County Logging Company. The Bordeaux brothers (Thomas and Joseph) migrated from French Canada to Washington as early as the 1870s. Their work in the Black Hills started in the 1880s. Their focus on the Bordeaux area began about ten years after that. What was initially a humble logging camp in the 1890s, grew to boast a post office and a population in the hundreds by 1903. A hotel initially housed the growing workforce, but an entire neighborhood of houses sprung up on the hillside above the industrial center of town. Stores and even a school would eventually be added. 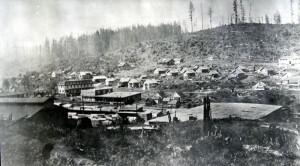 In addition to their operation on the east side of the Black Hills, the Bordeauxs also owned a twin timber town across the hills south of McCleary at Malone. The employment in both towns shrank throughout the 1930s with each closing up shop within a few years of each other. The peak for Bordeaux came in the mid-1920s when about 600,000 board feet traveled down the 90 mile long railroad that connected the town with industry beyond. In addition to shingles, the company town also shipped dimensional lumber, like 2x4s. For Bordeaux, the final closure came in 1941 when the standing forests that fueled the town literally ran out. Weeks before the mills closed for good, The Olympian newspaper covered the closure of the town and immediately deemed Bordeaux what it would eventually come, a ghost town. The Bordeaux workers, several hundred of them who will be without jobs, have no grudge against the company. They know it takes logs to run a mill and the logs are all gone. It’s just one of those things. Most of them are thankful that the mill is going down now, instead of during a time when jobs were more scarce. Most of them already have new jobs lined up — jobs in veneer plants, in national defense industries. Decades after the town effectively was taken back by the forests, the old town site again became notable when the old supervisor’s property was purchased by Kurt Cobain’s wife Courtney Love for Cobain’s family. 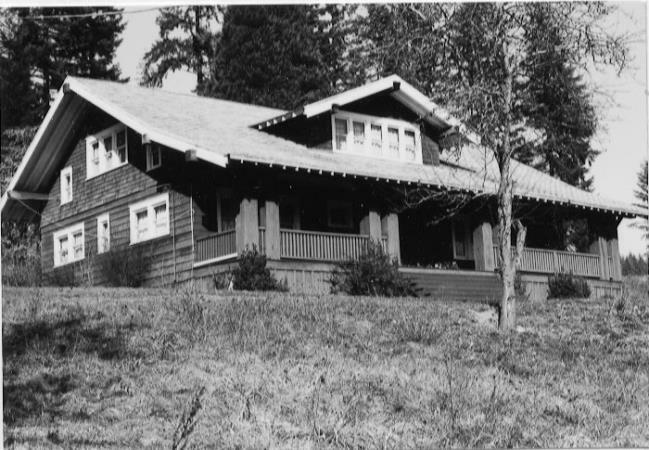 Wendy O’Connor, Kurt Cobain’s mother, lived in the house following Cobain’s death. Cobain’s sister lived there as well. Love eventually fell behind on payments and the house was put up for public auction in 2006. A Seattle Times article covering the auction erroneously noted that Cobain’s ashes were scattered on the property during his final memorial service. It turns out the memorial service took place a few miles north, on another Love owned property on a tributary to McClane Creek. It is sad to note that another last remaining piece of the Bordeaux community was lost during the Cobain family ownership of the old townsite. The old one room school house was torn down and its foundation removed during the years the family owned the property. 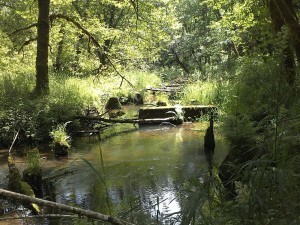 Olympia Time: Which creek contains Kurt Cobain’s Ashes?